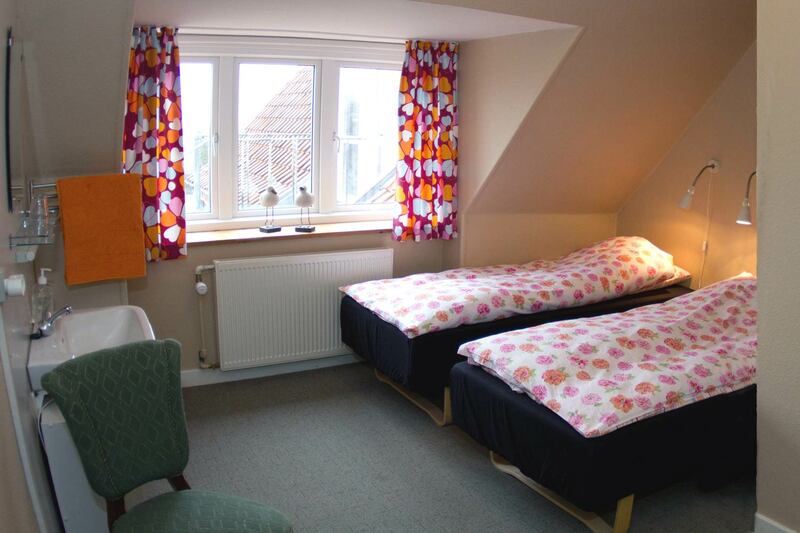 These bright and charming rooms have a fantastic view to the beautiful hotel garden. 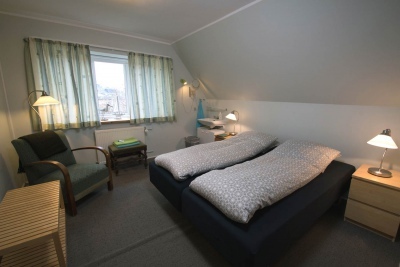 They are equipped with 2 custom-made single beds put together as a double bed and good pillows and duvets. 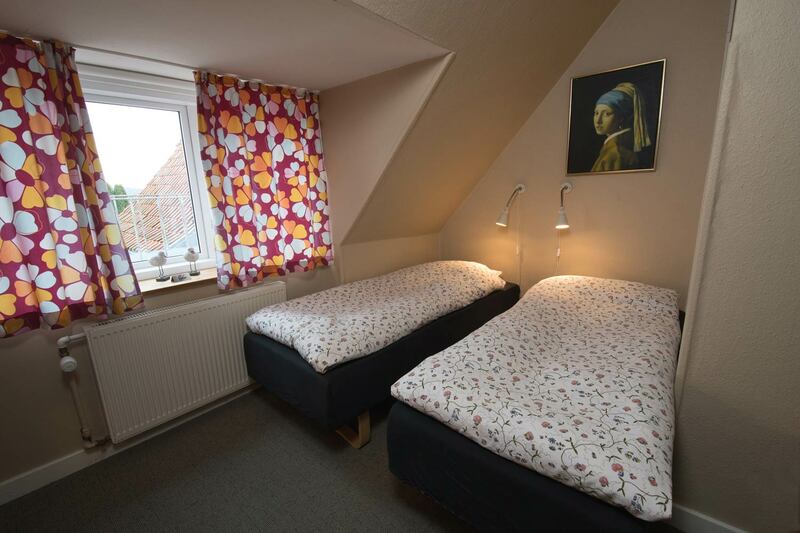 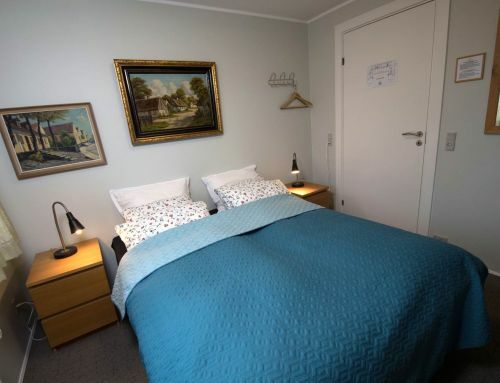 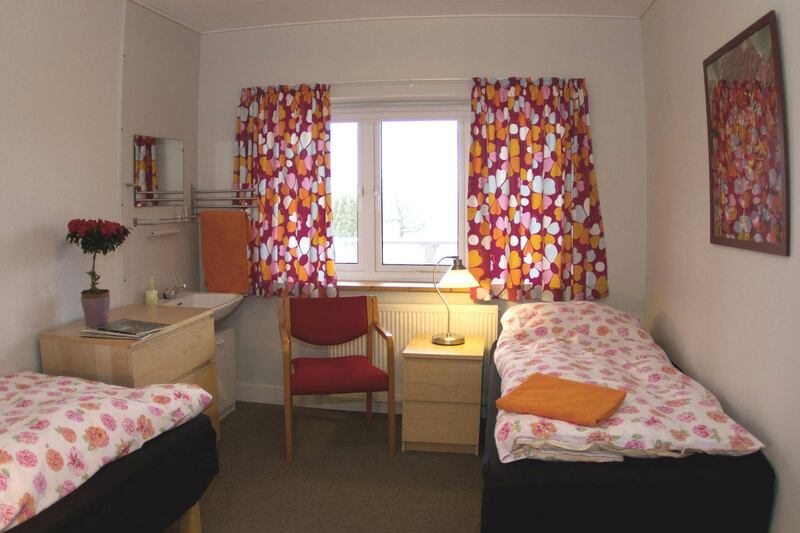 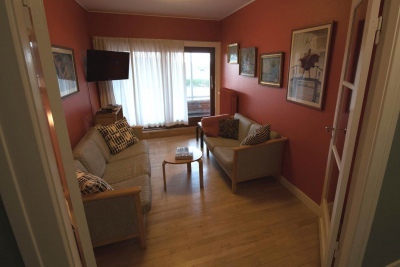 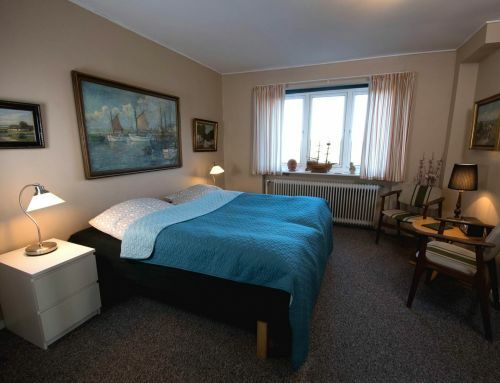 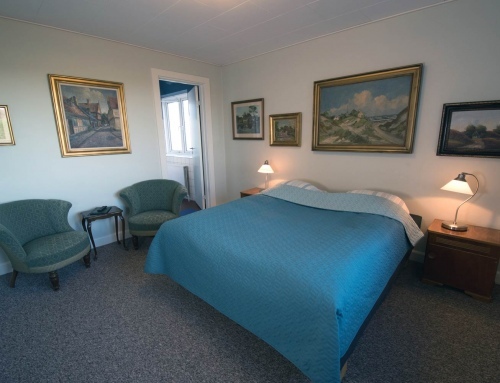 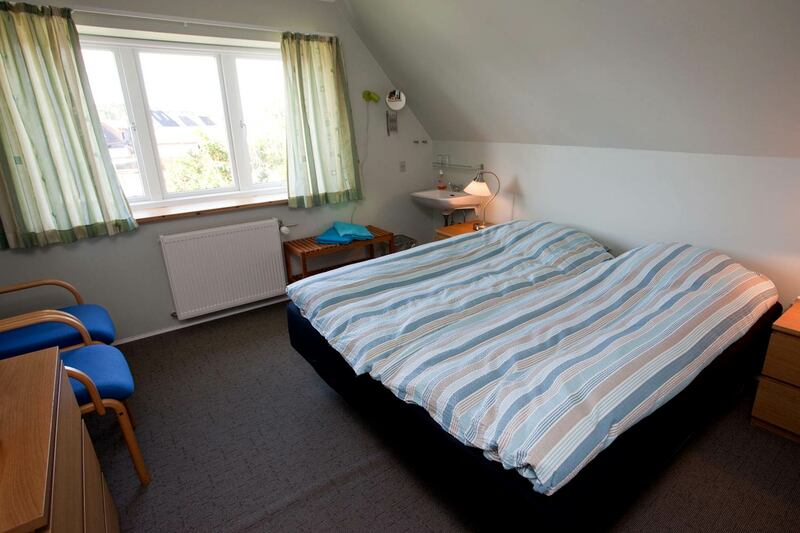 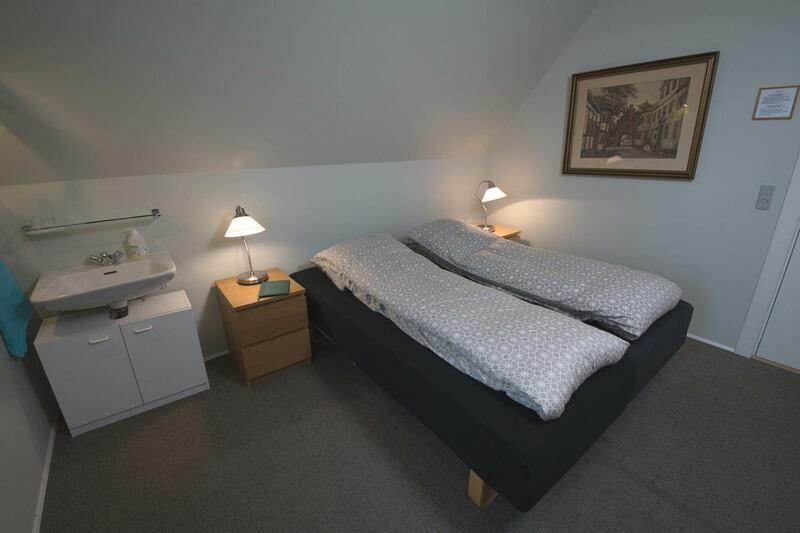 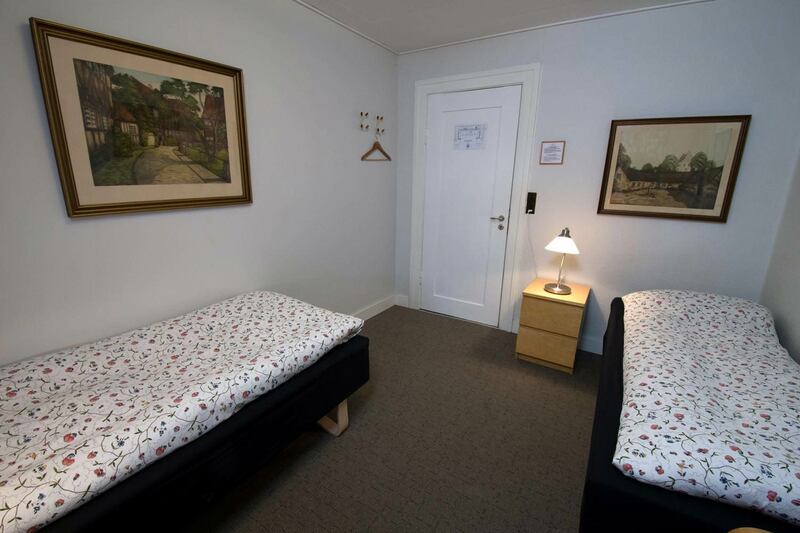 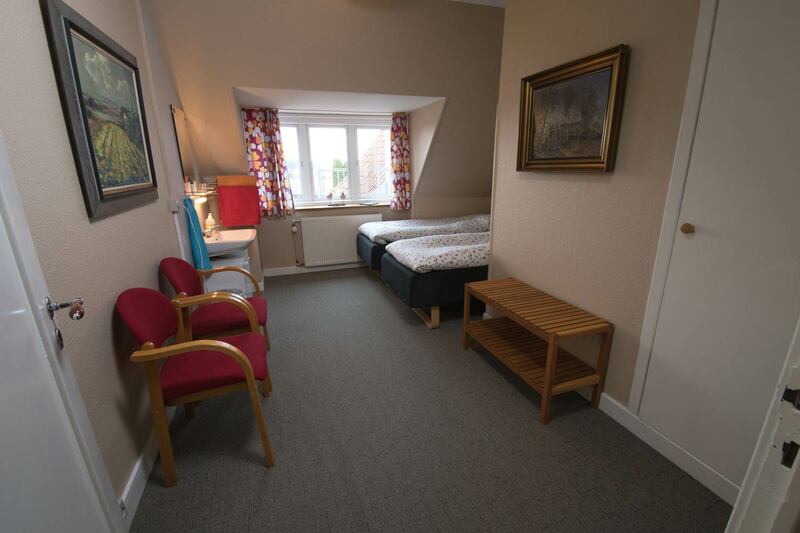 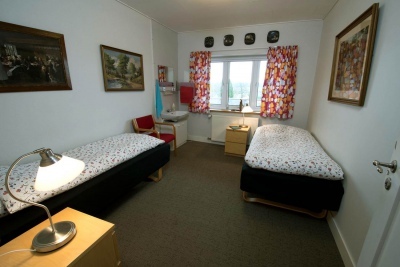 The rooms have blackout curtains, luggage bench, armchairs, a small table and reading lamps. 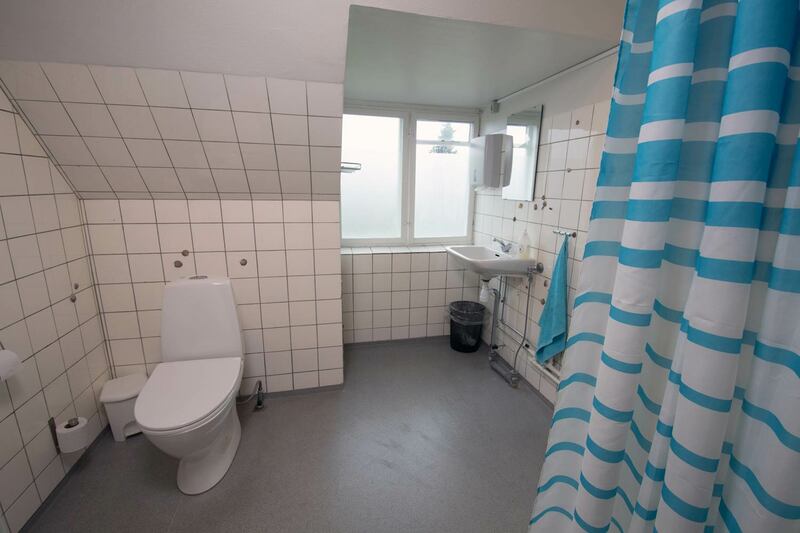 Bath and toilet are close to the rooms on the opposite side of the corridor. 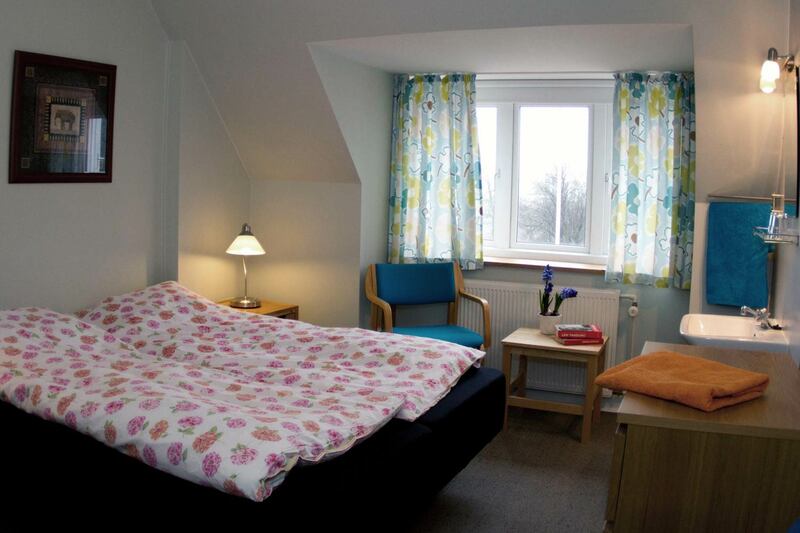 We do the bedlinen and towel laundry ourselves, and we only use environmentally friendly detergents. 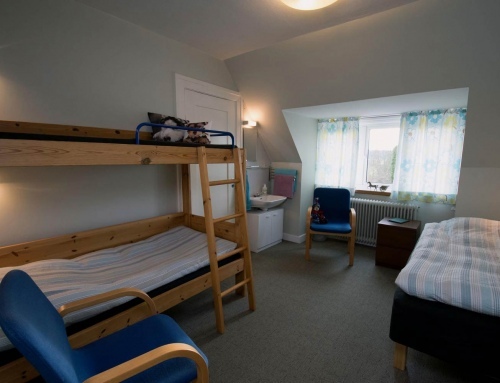 For a fee, the rooms may be booked as single rooms, and in some of the rooms an extra bed can be arranged, also against payment.